is a major new development of Michael Porter's theory of competitive positioning, in which he examines the 'two Japans' - one highly competitive and one highly uncompetitive. This book represents a major contribution to the understanding of Japan and a major new strategic analysis from the world's leading thinker on strategy. Can Japan Compete? is a major new development of Michael Porter's theory of competitive positioning, in which he examines the 'two Japans' - one highly competitive and one highly uncompetitive. Porter draws upon previously unseen research to set the record straight on what did and did not happen during the 'Japanese Miracle'. 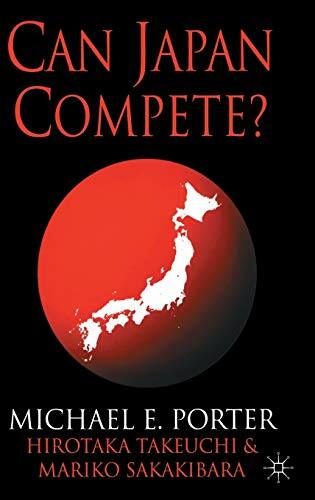 This book represents a major contribution to the understanding of Japan and a major new strategic analysis from the world's leading thinker on strategy.